Although the judges and the McLennon County district clerk approved a plan on June 11 requiring that grand juries be selected in the same way civil juries are selected, Judge Matt Johnson signed an order on June 30th extending the term of the grand jury who would hear the Twin Peaks shooting cases. The term of this grand jury was set to expire on June 30th. Judge Johnson was reported to have been one of the judges on June 11th who approved the plan to change the system in which grand jurors are selected in McLennan County, Texas. 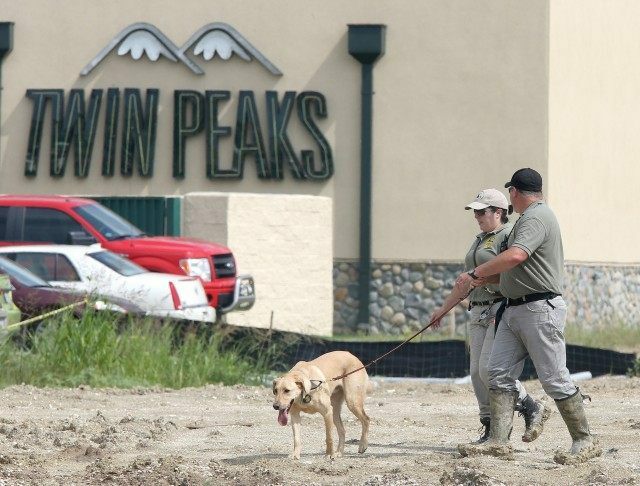 The Waco Tribune-Herald reported that the order extending the grand jury term signed by Judge Johnson stated it was “for the purpose of concluding the investigation into the incident at Twin Peaks, allegations and circumstances surrounding such incident.” Grand jury proceedings are secret and it is unknown whether this grand jury had started hearing evidence in any of the Twin Peaks cases. The other criminal court judge in the county, Judge Strother, was reported along with Judge Johnson to have said it remains to be seen whether the new law will increase diversity on grand juries. A lawyer for one of the arrested bikers, Matthew Alan Clendennen, filed an objection to the holding over of what he referred to as the “Pick-A-Pal” grand jury. He argued that using the “hold over pick-a-pal grand jury” violated the Texas Code of Criminal Procedure and the due course of law provision to the Texas Constitution. On June 18th of this year, Governor Greg Abbott signed into law House Bill 2150. It amends the Texas Code of Criminal Procedure to change how grand juries are selected in Texas. Grand juries have been selected in Texas by a system wherein criminal court judges appoint commissioners who then nominate individuals to serve as grand jurors. The system has received much media attention for perceived injustices in the system, including an absence of racial diversity, and connection of the judges with the grand jurors. Federal courts stopped the practice of picking jurors in this way decades ago. Grand jurors will now be selected like jurors in civil cases, from driver’s license and voter registration lists. Lisa Falkenberg, a columnist with the Houston Chronicle, was named a winner of the 2015 Pulitzer Prize for Commentary for her writings about the grand jury system in Texas. The Pulitzer Prize is the most prestigious award a journalist can receive. As reported by the Chronicle, Falkenberg received the award for her work on a series of 10 columns, many of which focused on “a corrupt and abusive grand jury system.” Many of these articles highlighted the case of Alfred Dewayne Brown. Brown was indicted for the murder of a Houston police officer and served time even though there was allegedly evidence that confirmed his alibi. Brown was released from death row in June of this year. McLennan County District Clerk Jon Gimble told the Waco Tribune-Herald that 100 people have been summoned to appear on July 8th for the selection of a jury panel. The first 12 qualifying jurors and two alternates will then be impaneled. The grand jury panel will serve for a three-month period. The period can be extended under the new law for a period not to exceed 90 days if necessary to complete any investigation of matters before it. One of the judges has signed a gag order preventing the parties and attorneys from talking to the press, also reported by Breitbart Texas. The judge signed an order preventing the public release of the surveillance video from the Twin Peaks restaurant taken on the day of the shootout. Breitbart Texas sent a Texas Public Information Act request to the City of Waco for that and other videos on June 4thand has reported about the City’s noncompliance with the request. Breitbart Texas also reported that one of the bikers filed a civil rights law suit against the City of Waco, the McLennan County Sheriff’s department, and individual officers. Although the lawsuit has been dismissed, the biker reportedly said he will refile the lawsuit. His lawyer Clint Broden says the plaintiff, Matthew Clendennen, asked that the case be dismissed but only for procedural reasons.